One week from today I will be headed to Japan to celebrate my two-year anniversary with my partner and we will be exploring Tokyo and Kyoto over a ten-day trip. I have pulled together some beautiful photos as inspiration for our trip that can be viewed on my Japan Pinterest Board. 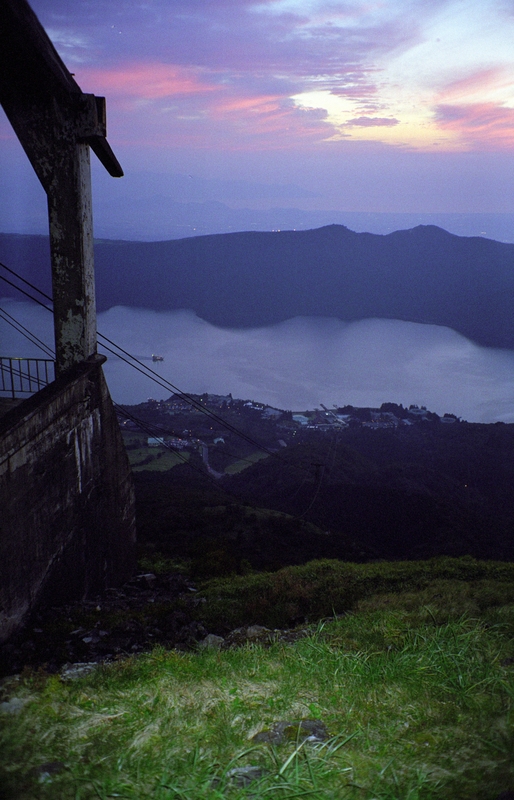 I was in Tokyo 12 years ago for a very short business trip and I took a quick side trip to Lake Ashi and Mt. Fuji which was beautiful. For some reason I can only locate about 4 photos from my trip and here is a shot that I took atop the cable car at Lake Ashi. After reading several books, chatting on travel forums and taking advice from fellow bloggers I have come up with a basic itinerary for our trip. I like to research travel destinations to map out a path that optimizes our time and gives us room to enjoy your vacation while being able to take in the things we love: top sites, contemporary art, local culture, fashion, food, natural surroundings and architecture. We certainly are flexible with what the day brings and if we love something that we are experiencing we may not worry about the rest of our plans for that particular day. But, I like to have a plan of action in place as a starting point for our journey. I want to give a particular call out to Yukari Sakamoto who is a chef, blogger and author of a book called, Food Sake Tokyo which has been an excellent resource for planning our culinary experiences. I have more work to do on restaurant selections and reservations but in Japan I think that with all of the options we might play that by ear to some degree. If you have a culinary suggestion, I would love to hear from you. Have you been to Tokyo or Kyoto? Take a look at the below itinerary and let me know your suggestions. Are we missing something? Would you tackle this differently? Either way, please be on the lookout for upcoming check-ins, tweets and postsfrom this adventure. Anzen’na Tabi or Bon Voyage!